Interior designers and furniture stores often sell products by building large showrooms and bringing customers in for testing out the merchandise. However, the main reason a customer gets to a shop like that is by going online and comparing designs, styles, and sizes. In addition, a website is one of the only ways furniture stores can connect with local customers through search engines. 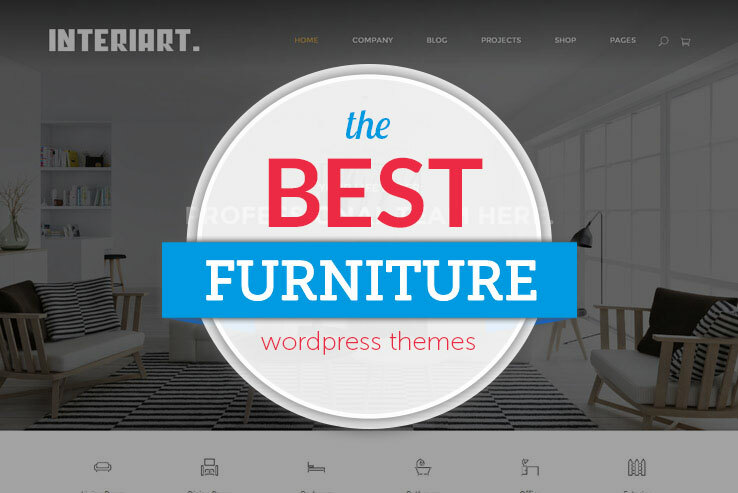 If you’re a web designer with clients, it’s not a bad idea to grab a handful of these furniture themes if some of your clients sell similar products or services. On the other hand, you might be a small furniture business owner. 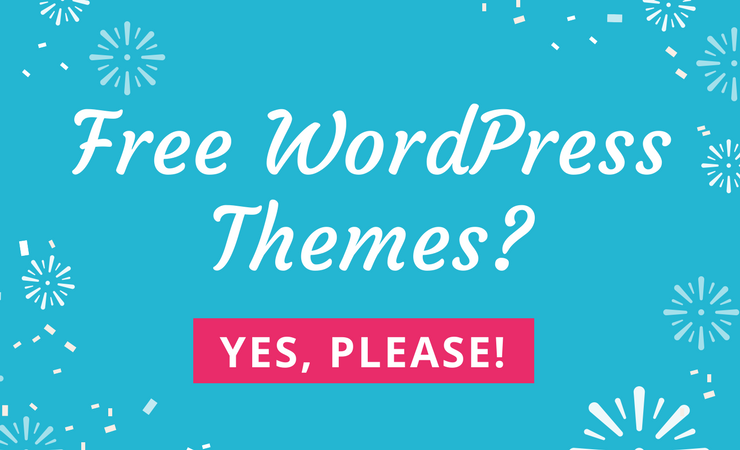 In that case, the WordPress themes below are the easiest options for building a strong website without any need to have any coding knowledge. Along with that, you’ll have full control over your site for future scaling. What Features Should You Look For in a Furniture Theme? A wide variety of furniture businesses exist. Therefore, we tried to compile several themes that fit all of the niches. For example, many furniture themes should have some sort of eCommerce functionality. You also want beautiful image support for showing off displays. For example, an interior designer might only need a simple portfolio. Video support helps as well. Some other features include quick shortcodes, a beautiful slider, and unlimited colors and layouts. Who Might Find a Furniture Theme Useful? Any furniture store would find one of these themes useful. We also have a few options in there for online marketplaces where hundreds of users can come to your site and sell their own furniture. Consignment shops are also considered in this article, along with interior designers who are bound to utilize all sorts of furniture in their home designs. Overall, any business that takes furniture and sells it to customers should take a look at the themes below. 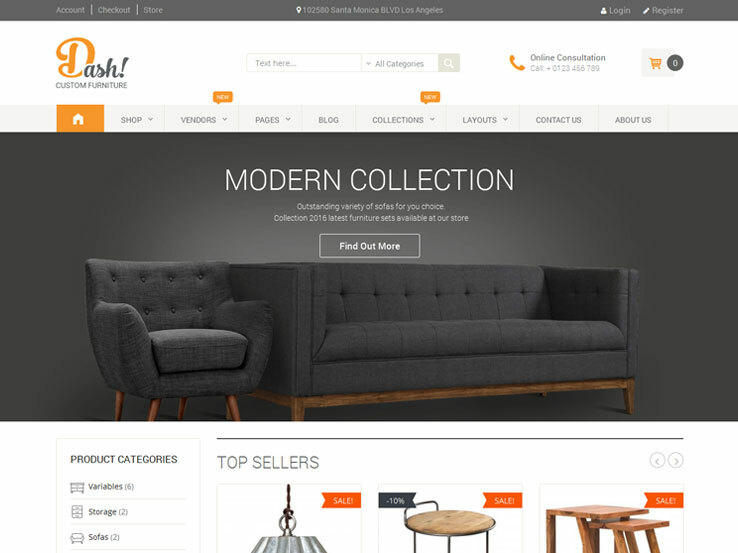 The Dash WordPress theme is a wonderful choice if you’d like to create a furniture marketplace online. It would work similar to ThemeForest or Etsy, where users come to the site and can make a seller or buyer profile. 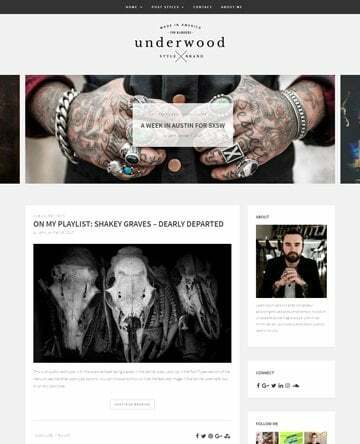 The theme is completely responsive and retina ready, and the unlimited colors and layouts are nice for branding. In addition, you can collect payments for the marketplace by utilizing the WooCommerce plugin. The admin panel is rather powerful, while the Revolution Slider comes along with the theme for showcasing some of the best furniture on the site. Also, the theme has lots of shortcodes for implementing items like buttons and tabs. 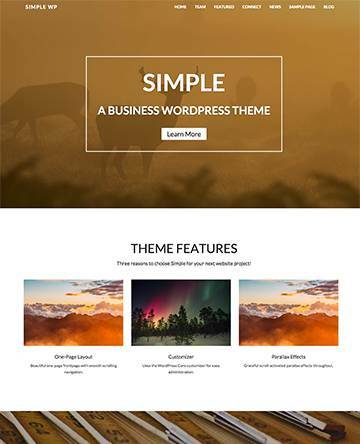 This is a WPML ready theme, and you gain access to charts and banners. You also receive a page builder, and the support is pretty impressive, with video tutorials and one on one support. 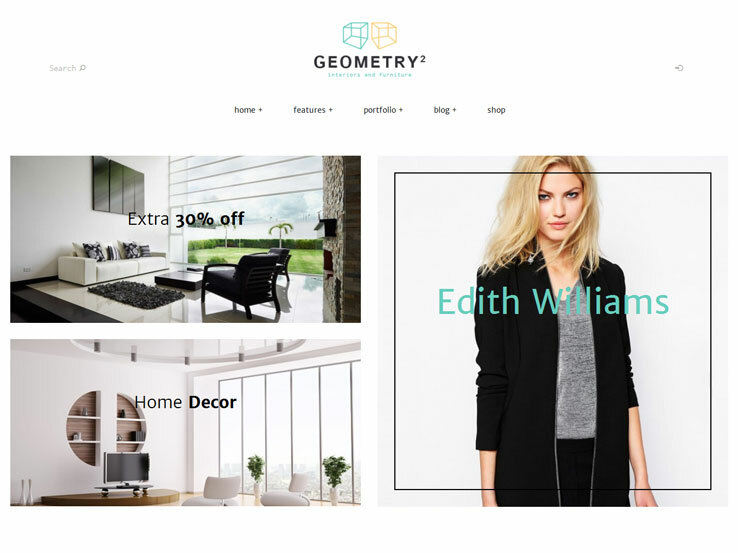 The Geometry WordPress theme has some intriguing elements for furniture companies, starting with the clean, elegant nature of the design. The theme is mobile friendly, and it has four pre-made designs, three of which cater to interior design companies. The intuitive page navigation is more unique than most themes, and the eye-catching banners are wonderful for new product announcements or any ads you may have on your site. One module on the homepage is there for showing off your promos and special offers, while you can also make an animated presentation with the Slider Revolution plugin. Introduce your team members to all of the site visitors, and show off all of the designs you have worked on in the past with the simple portfolio shortcodes. 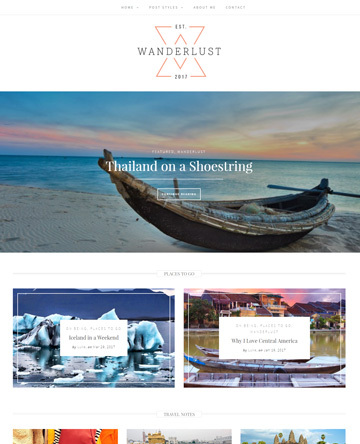 The theme also has a lightweight online shop, an interior blog, and the Visual Composer plugin. 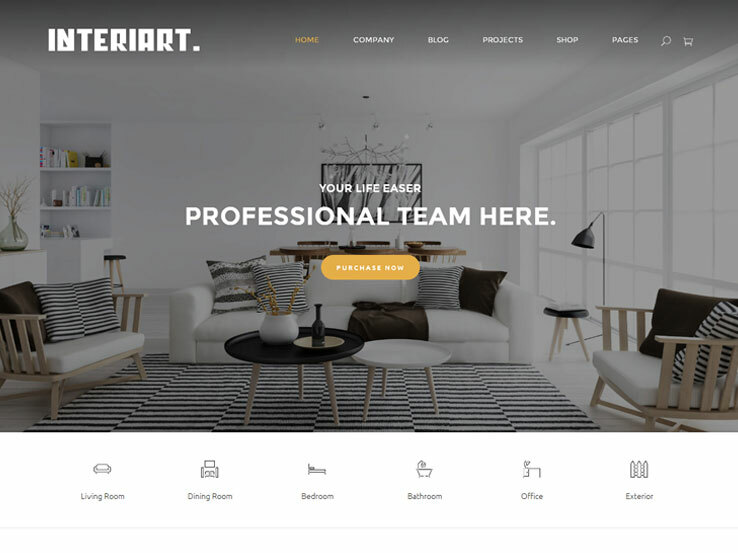 InteriArt is a solution for interior designers and furniture stores, offering several plugins such as Slider Revolution, Visual Composer, WooCommerce, Max Mega Menu, and TX Plus Gallery. The theme is fully responsive, and you get beautiful company pages for About information, services, and a Contact Us page. Six demo homepages are provided, and the WPML multilingual support is sure to help out with communicating with all customers. The one click demo import speeds up the development process, while the speed optimization is rather impressive. Choose from an unlimited number of colors for your design, and use the mega menu support if you plan on having a full-fledged online store. 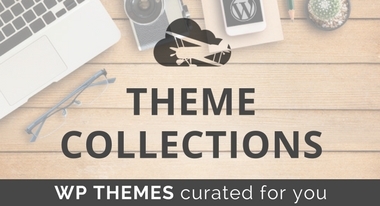 The InteriArt theme also includes free Google Fonts and Font Awesome icons. Along with that, you receive a Photoshop file for maximizing the customization options on the site. 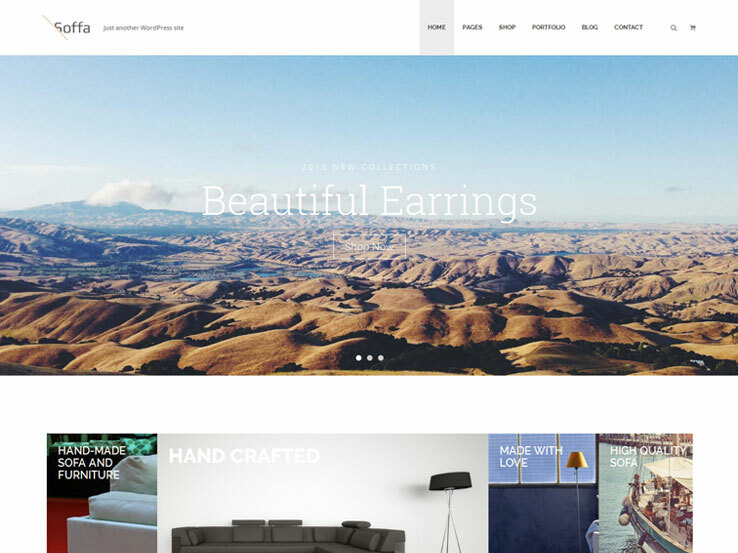 Consider buying the Furniture WooCommerce WordPress Theme if you’re interested in immediately creating an eCommerce shop from the start. As you might have assumed, the theme is built for WooCommerce. It also runs on all devices and has a powerful admin panel for changing colors and even adding your own CSS. The Visual Composer page builder is included with the purchase, and you also gain access to the Revolution Slider plugin. 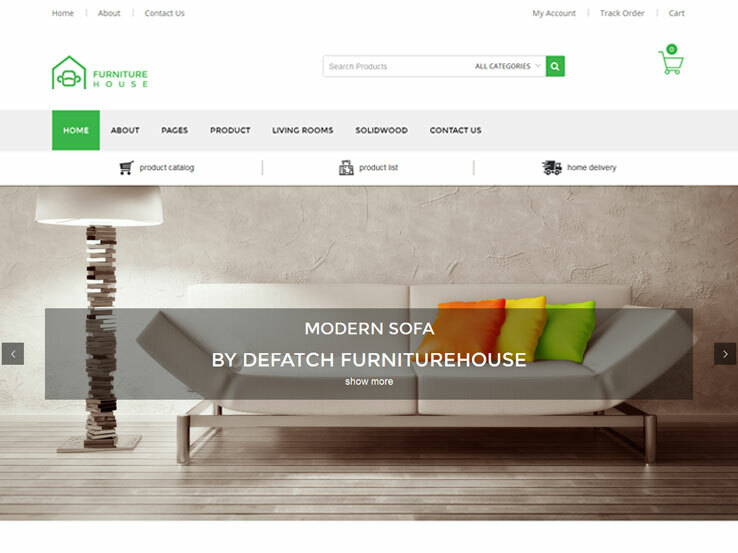 The Furniture WooCommerce WordPress Theme is SEO ready, it has a wide variety of Google Fonts for managing your typography. The theme provides over 30 custom shortcodes, and the cool CSS3 effects and animations are sure to grab attention. The clean design and coding is a bonus, while the dedicated support and detailed documentation come together for the ultimate learning experience. It’s also worth noting that this theme is built with Bootstrap. 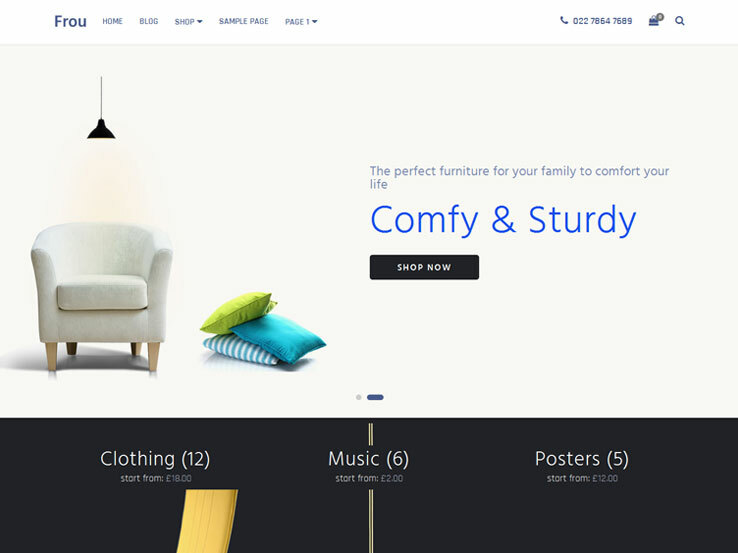 Try the Homestyle theme for a beautiful and responsive interior design/furniture store solution. The theme has support for several plugins and apps, including WooCommerce, WPML, and Visual Composer. It’s built with Bootstrap, and the variety of page layouts include blog, boxed, left side panel, and one page styles. You’ll also find that the Slider Revolution plugin is packaged in with the theme, making for a nice presentation of photos. One free, yet useful, plugin that’s included with the theme is Contact Form 7. You can also use the parallax image and video scrolling sections for showing product information. The theme is built with Sass and CSS, and you receive shortcode support for less advanced coding. The demo content is provided when you buy, and you get unlimited color options throughout the admin panel. The Decorer theme provides support for WooCommerce and the Layers Pro plugin. It’s also built for the free, and easy to use, Layers site builder. A few of the other items packed into the theme include the Advanced Grid System plugin and the Storekit plugin. Moving on, the Decorer theme has a responsive layout and a smooth scroll feature. The video background works well, and it supports local video, Vimeo, and YouTube. The animated parallax backgrounds add some spice to your design, and the unlimited color options are bound to help out with branding. Decorer also provides a header customization area, along with logo and menu customization. The responsive slider runs smoothly, while the button customizer speeds up the design process. The theme is translatable, and you get Google Font support. 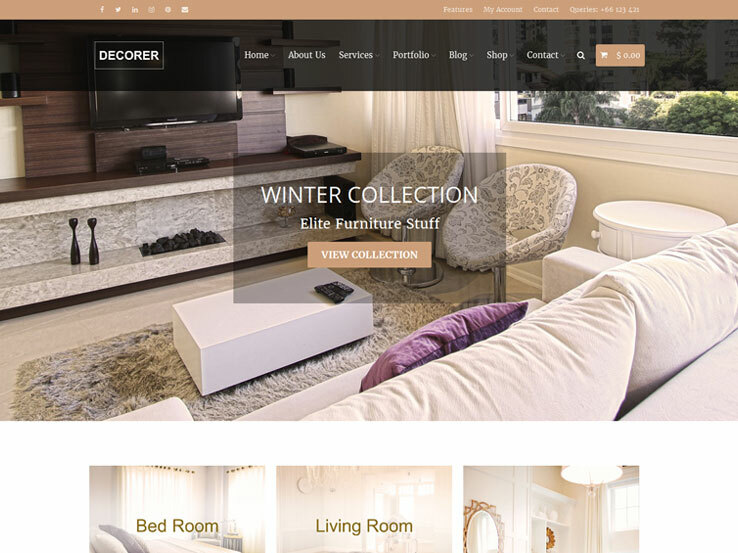 Along with a built-in customizer and reliable support, Decorer looks pretty solid for furniture stores. 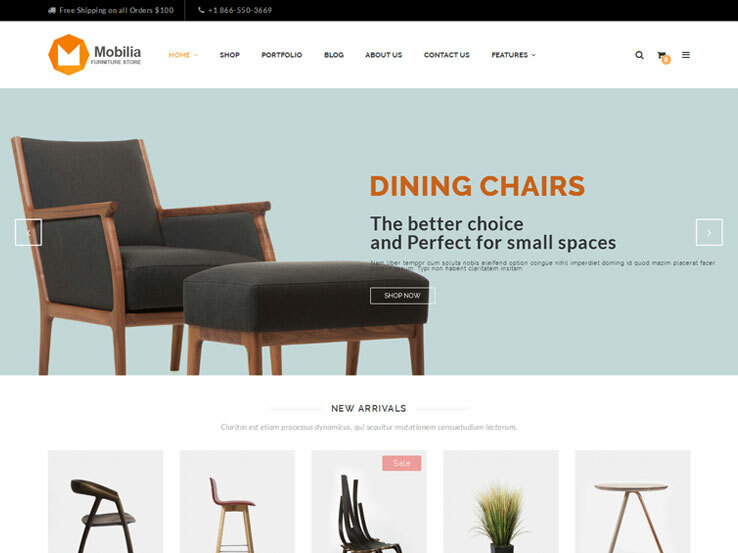 The Mobilia WordPress theme serves as another WooCommerce furniture store option, with support for Visual Composer, Slider Revolution, and WooCommerce. You receive several home and shop layouts, along with a responsive and mobile ready design. Sample content comes with the package, and the mega menu tool is perfect for online stores. You gain access to custom colors, Google Fonts, and Font Awesome icons. Some of our favorite features include the Google Rich Snippets, latest posts carousel, AJAX cart, multiple currencies, and the products tab slider. You’ll also find a module for customers to search by category, and a product price filter for easy navigation and searching. The beautiful banners improve exposure for new products and ads, while the contact form looks great with Google Maps support. You also get a custom 404 page and a product page lightbox. Looking to sell your furniture online with a clean, elegant and professional website? Consider the Goodstore theme. It integrates nicely with the WooCommerce plugin, which provides access to a ton of useful eCommerce features including shipping options, a lookbook page to showcase your designs, wishlists, and more. 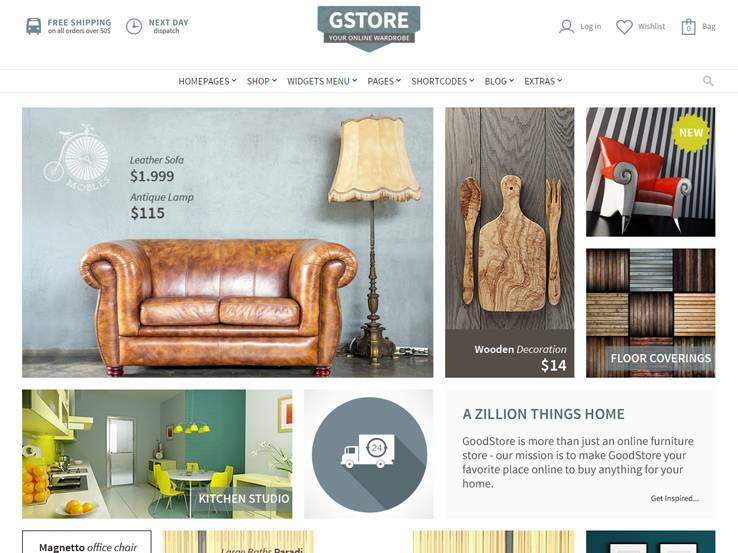 The Goodstore theme comes with over 22 pre-made layouts and you can also create your own custom designs easily using the visual page builder that does not require coding knowledge. Considering many people do their online shopping on their mobile devices, it’s nice that the template is responsive and Retina-Ready. Want to standout from the crowd with a beautiful and modern website? 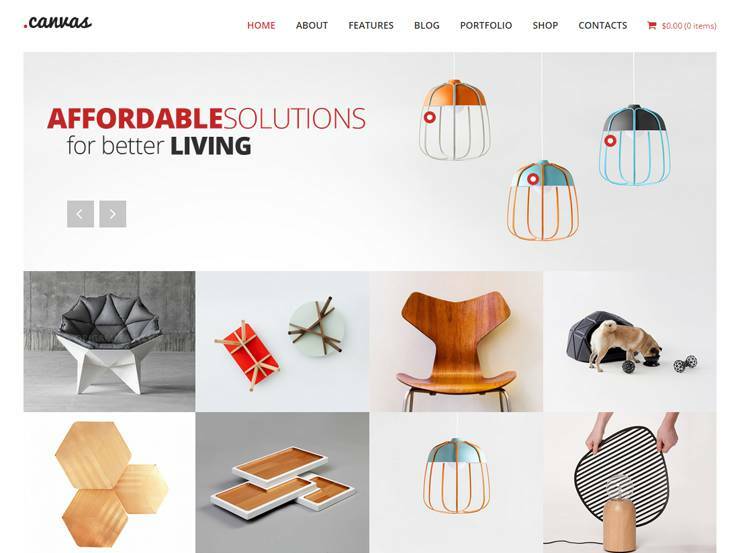 Try the Archi WordPress theme for interior design websites. It’s spot on aesthetically and is packed with a wide range of features including sliders to showcase your designs, multiple layout and color options to match your style, eCommerce support, and more. Choose from 18 front page layouts or create your own layouts using the drag-and-drop page builder. 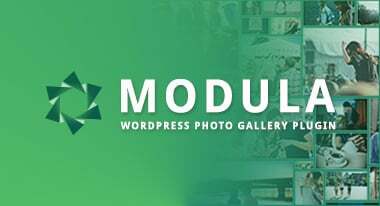 The portfolio module provides options to present your past works, while the translation tools make it easy to display your site in different languages. 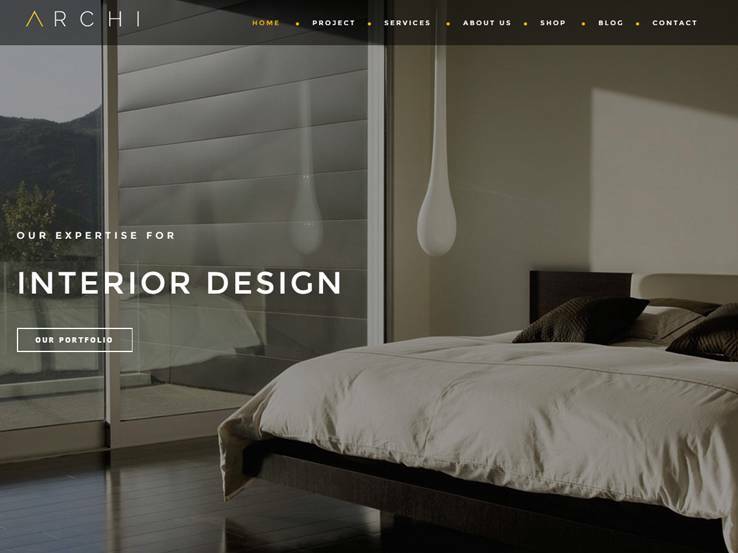 Overall, the Archi theme offers a solid option for interior design websites of all types. 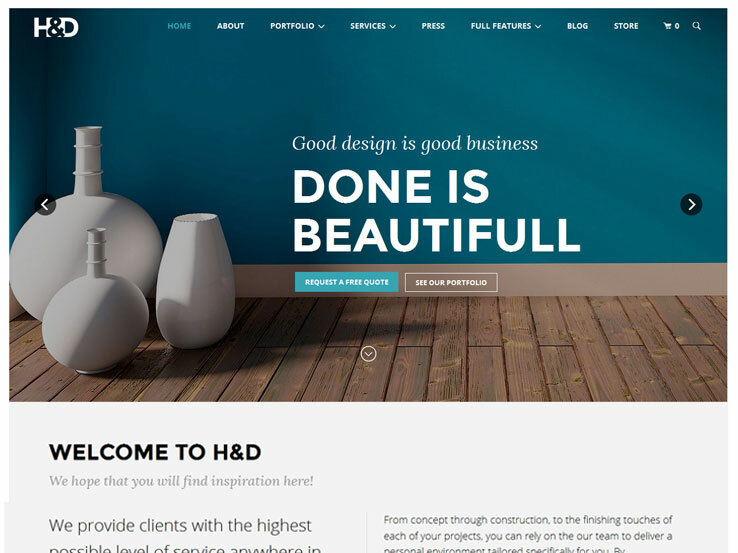 The H&D theme comes with a sleek, elegant design and lots of beautiful features for interior design websites. An attractive front page slider lets you showcase photos of your designs and drive people to your important pages, while the portfolio provides options to present your previous work. Integration with the WooCommerce plugin means you can quickly sell your products online without a problem. The template comes with several ready-made designs and you can build your own custom pages using the visual composer plugin. 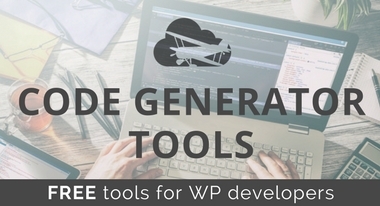 Also, there’s support for videos, a beautiful blog, translation tools, and a powerful theme options panel to easily configure your WordPress site. 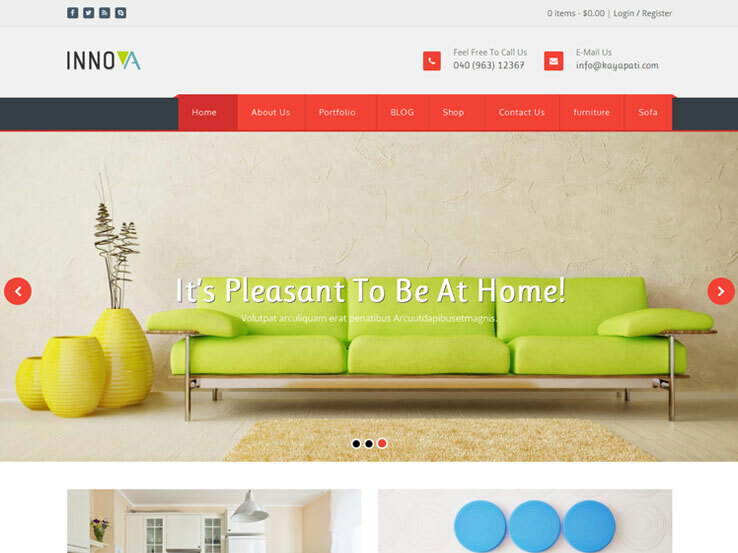 The Innova theme was designed for furniture stores and interior designers looking for a clean and versatile template with lots of features. You’ll find several beautiful layouts to present your products, portfolios with video support, sliders to showcase your photos, and a wide range of customization options to make the theme your own. Selling your products online will be easy thanks to the integration with the WooCommerce plugin. Besides, the Innova theme is social media friendly, translation ready, and SEO-optimized to help you attract local clients through search engines. The Canvas theme offers a gorgeous option to present your interior design and furniture products. It comes with a clean and modern design, along with a vibrant portfolio and a sleek gallery to display your previous works and products. A wide range of customization options are included as well. Change the colors and fonts to match your brand, and choose between a side menu or a top menu. There’s also the option for a full-width slider or an eye-catching fullscreen slider that supports both photos and videos. The shop section looks amazing and it allows you to sell your products online smoothly. The blog provides a great opportunity to share your knowledge and attract more traffic to your website, while the social media integration means people can easily follow you and share your content around the internet. We like the Soffa theme for furniture store websites because it comes with extra eCommerce features to help boost your revenue. You can easily set up an online shop for your furniture products, complete with product carousels, reviews and ratings, wishlists, product comparisons, and more. Use the stunning sliders and image banners to display photos of your products and entice customers. You’ll also find a simple portfolio section to present your previous works, a drag-and-drop page builder, an elegant blog, a newsletter subscription module, and much more. 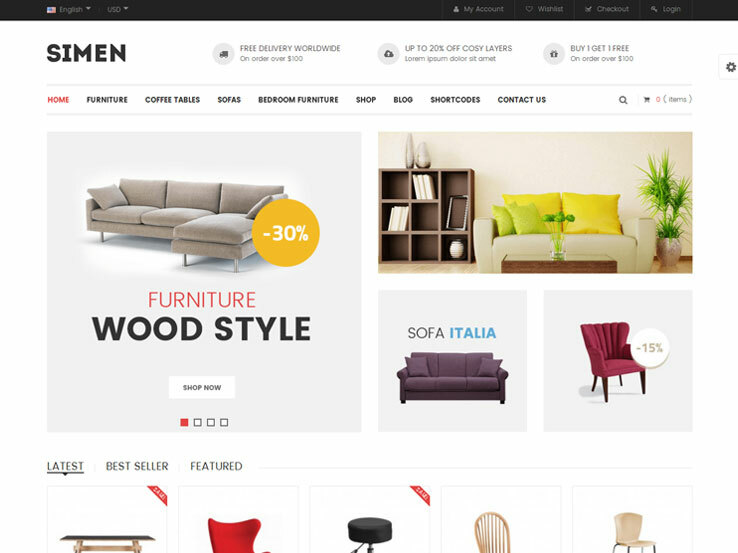 Designed specifically for furniture stores, the Simen theme comes with a stunning slider to highlight your products, eCommerce integration to easily sell your products online, a reviews and ratings system for the ultimate social proof, and a simple blog to help generate more traffic to your website. Several layout designs, colors options, and hundreds of font choices are available, allowing you to brand your site the way you want. On top of that, the Simen theme includes a nice pop up to display your special offers and a newsletter subscription module to help you capture email addresses. 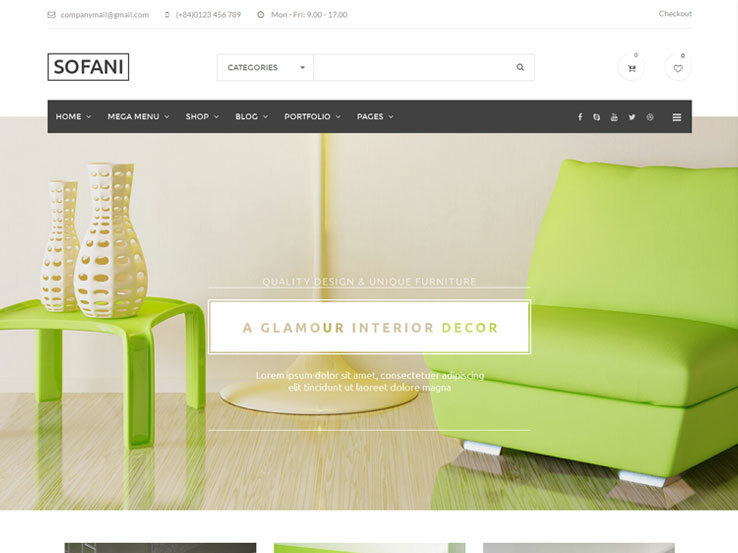 Meet Sofani, a beautiful and eye-catching WordPress theme designed for furniture stores and interior designers. It integrates nicely with a bunch of awesome plugins including the WooCommerce plugin for creating online stores, Slider revolution for highlighting your products, Visual Composer to easily create custom page layouts without coding, YITH WooCommerce Compare and Wishlist, and the Contact form 7 plugin to easily insert contact forms on your site. The reviews and ratings system will help boost your sales, while the blog offers a great opportunity to share your knowledge and generate more traffic to your website. In addition, there’s a portfolio for showcasing your previous works, unlimited colors, hundreds of fonts, and several pre-made layouts to choose from. The Bigbazaar theme is elegant, flexible, and professionally designed. It comes with several layouts including a furniture store inspired design that features a beautiful full-width slider to highlight your best products, product carousels, and a client testimonials section to help boost your credibility. This is an eCommerce theme, which means you’ll have access to powerful features and options such as a reviews and ratings system, wishlists and comparisons, products variations, and more. Present your previous works using the clean and modern portfolio, and generate additional traffic to your store by showing your expertise through the blog. 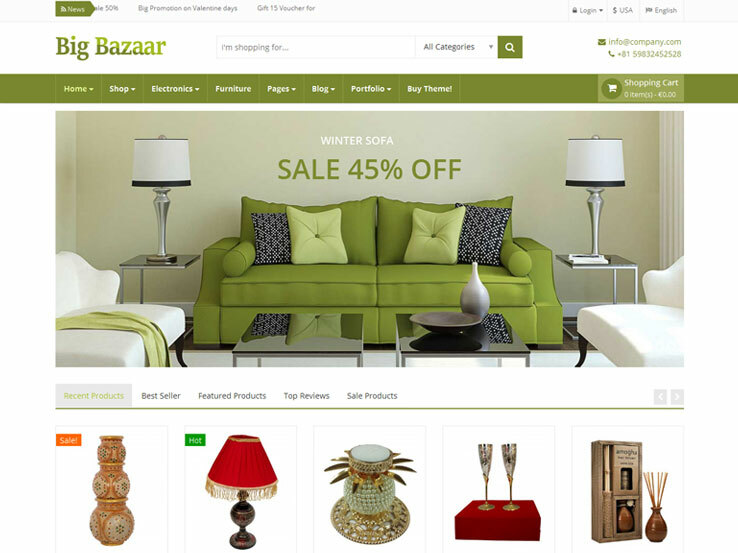 Along with unlimited color options, a responsive design, search engine optimization, translation tools, and a newsletter module, the Bigbazaar theme provides a solid option for furniture stores and interior designers. 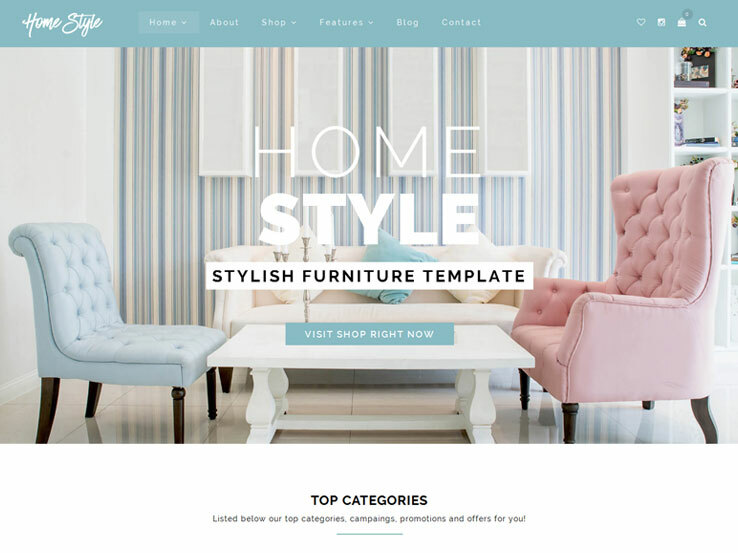 The Frou theme provides yet another eCommerce shop for furniture businesses, using the WooCommerce integration and Visual Composer for a fast launch and easy management. Both shop pages and single product pages are included with the theme, and you can utilize some translation files to expand your reach to new customers. The post format support is rather powerful, including options for standard posts and asides. Along with those two post formats, you receive others, such as image, gallery, link, quote, status, and video post formats. You’ll find a theme customizer for making quick edits and previewing the changes. Furthermore, it’s ready to merge with a child theme for even more customization options. 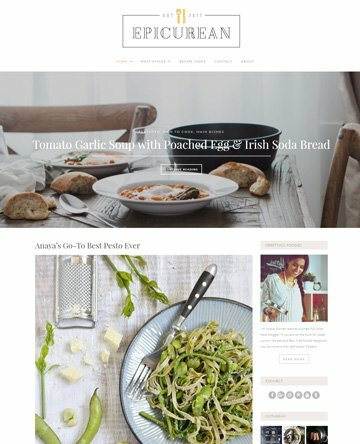 Along with all of the standard WordPress features you would expect, and a unique custom background tool, the Frou theme stands out next to other WooCommerce themes.